With all of the short-lived resolutions floating around in the New Year, why not make a change that will last? Switching to a SMART thermostat is not only a better choice for the environment, but it is also the best choice for your wallet. You probably already own a smartphone, so it’s time to update your home now. 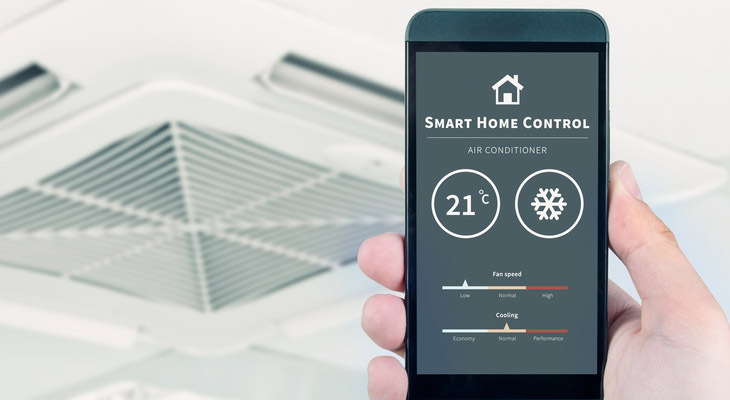 Smart thermostats are the natural next step in programmable HVAC. Not only will you be able to adjust your settings remotely, but you will also be able to see your energy consumption statistics in real time. A smart thermostat can be an incredible tool for you and your family. In the past, leaving your home for vacations might have been stressful. Forgetting to turn down your furnace over a long period of time away could be a potential fire hazard, which is not a problem if you have a smart thermostat. Or perhaps you’ve set the furnace quite low to save money, but you’ve heard that a blizzard will be blowing in and you’re worried about the pipes freezing. Just pull out your phone and adjust. With smart technology, you can change your furnace settings from virtually anywhere in the world. Programming your furnace to only heat your home when you will be there means that you will be wasting less energy. Efficient energy use has a twofold effect. For one, it will help to minimize your home’s carbon footprint. You can rest easy knowing that you are doing your part to be gentle on the environment. Secondly, this will reflect positively on your energy bill. It’s a simple matter of increasing efficiency. A decision to install a smart thermostat is a smart resolution! If you’re curious about what an upgrade to your HVAC system would look like, give us a call today! We would be happy to discuss your options and bring your home into 2018!